I received a peppy email from NaNoWriMo this week about it being editing time. Usually, I would be all over that, or even a couple steps ahead. Last year, I finished the first draft of my NaNoWriMo novel on January 24th. The year before, I was a little slower, taking until February 10th, but my first draft was 30,000 words longer. This year, sad to say, I’m still under 70,000 words (barely) and feel like I might have finally achieved the halfway point of the story arc (if there is such a thing). And I have become distracted by another writing project. 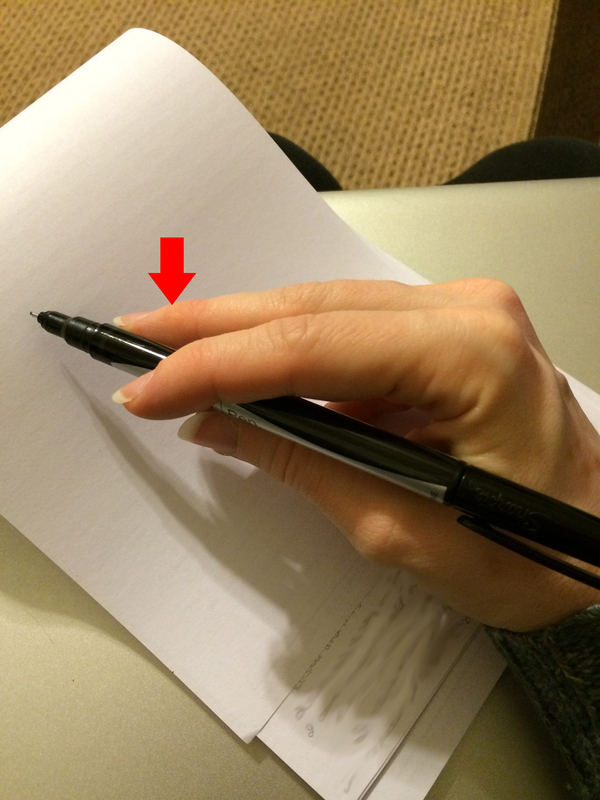 Yes, I’m writing this with guilty fingers, fingers that have typed on another story. Just to think – I postponed work on my Camp NaNoWriMo novel for NaNoWriMo 2015, and now that’s slowed down because I had this completely unexpected novel barge in one day, demanding to be written. Books will do that sometimes, and although I’ve been able to put some of these stories off before, this one wouldn’t take “Wait” for an answer. You see, it all happened when I read a good book. (That’s how my first NaNoWriMo happened to begin with, so I guess my muse is really rubbing her hands together in glee right now.) It was teen fiction. No vampires or werewolves or anything at all supernatural, which is somewhat unusual for me. And suddenly, I had a character and an idea, and poor NaNoWriMo 2015 was doomed. I’ve only typed a little on this new project (just under 5500 words), but there’s at least 10 times that much simmering in my head, ready to boil over. It’s not like anything I’ve ever written, which makes me think that maybe it’s special. Or maybe I’m just coming up with excuses to let NaNoWriMo 2015 linger. Somehow, I don’t think so. Although I’ve left quite a few manuscripts hanging out to dry before, my NaNoWriMo record to date stands at two participations, two wins, two completed manuscripts (and by completed, I mean that I plowed through to their respective ends, although they still need major editing). Considering it’s the third book of a trilogy, and I have beta readers who want to know how it ends, I need to finish it for them – and for me. Earlier this week, one of my characters surprised me and did something I thought a different character would do. I guess I ought to keep writing and see how that’s going to resolve. But let me state up front what I’m not going to do. This year, I am not going to set goals that will put me in a panic. This year, when I finish, I plan to edit and do it right. I will eventually have a copy of this book for beta readers, but I don’t even know if CreateSpace has a deal for free books this year, and I’m not going to stress out about it. If I have to pay for books, I have to pay for books. So I’m going to work on these two stories (plus Camp NaNoWriMo, plus editing books one and two of the trilogy again), and if they take me through the end of October, so be it. But come November 1, 2016… well, the NaNoWriMo piper will play for me again. I’m sure of it. What Comes After NaNoWriMo 2015? The short answer: a lot more writing. And as much as I usually like to elaborate, I just don’t have the energy or time to say much more right now. Part of that is just hanging over from the doldrums I suffered all November long, but the other part is that I need to use my time (tiny slivers of it, at least) to continue writing this year’s novel. I wrote my 50,000 words before the end of the month (54,000, actually), but I am nowhere near finished with the first draft of my book. 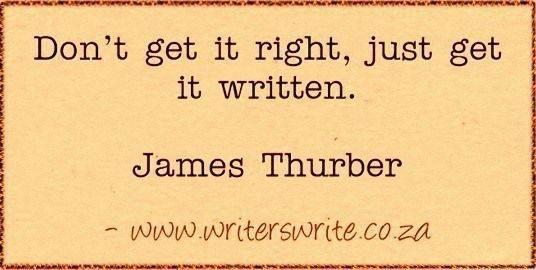 So instead of writing about writing (even though I love to do it), I am going to just plain write for a change. 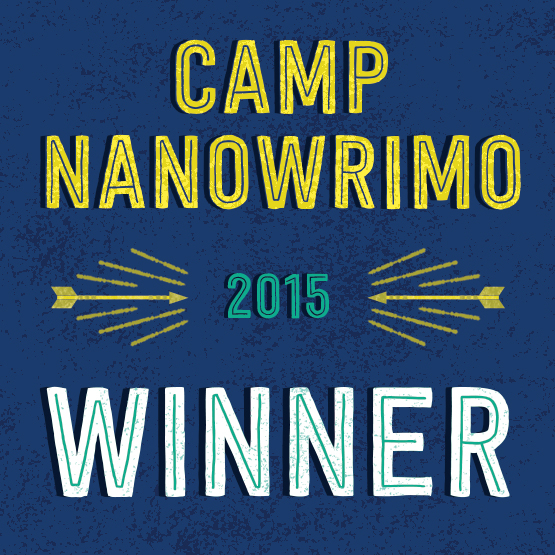 This time last year, I never would have thought of participating in Camp NaNoWriMo. I was too concerned with having enough material for NaNoWriMo in November to use up all of my creativity in July. But of course, a year before that, I never would have thought I would participate in National Novel Writing Month to begin with. Write 50,000 words in one month? It seemed like the kind of thing that crazy people with no life would do. So I guess I’m a crazy person with no life. If you’re a regular reader, you know that I participated in NaNoWriMo 2013. I didn’t even decide to do it until the weekend before November 1st. I never expected to actually write 50,000 words, but I wrote much more than that. In 2014, I signed up for NaNoWriMo again, and although it wasn’t nearly as easy the second time, I wrote the sequel to the 2013 novel, and I plan to write the third book of the trilogy this November. Camp NaNoWriMo, which is a more laidback version of NaNoWriMo, takes place in both April and July. Instead of writing a 50,000-word novel from scratch, you simply declare your writing project goal for the month and then try to complete it. The minimum word count is 10,000, and you can even work on something that’s not a novel. April was a no for me both times because I was in the middle of editing the previous Novembers’ novels. But if you read my recent summer writing post, you already know that things changed for me this summer. After finishing the latest revision of my 2014 novel, I gave my Muse a few days’ rest, but then she came back, apparently ready to get to work on a manuscript that’s been kicking around since 2009. It’s a story that I would add a scene to every once in a while, but I probably hadn’t opened the document in two to three years. After reading through everything I had – a little under 17,000 words at the time – I realized that I was ready to fill in the missing scenes, maybe even finish it. I started writing, and much like my NaNoWriMo 2013 experience, it was like to direct the wall of water after the dam has broken. Then I realized that it was July, and if I was going to be writing anyway, I might as well declare my intentions officially by participating in Camp NaNoWriMo. When I signed up on July 9th, I was already at 20,000 words. Just in case the ideas petered out, I gave myself what seemed a pretty easy goal of 35,000 words total. That meant I only had to write 15,000 more in order to succeed. There were a couple days when it felt like I might be pushing it, but for the most part, inspiration was on my side. I was at almost 54,000 words – well past my goal of 35,000 – when I began to slow down. I still had a week left, but I was already feeling the itch to edit. This is a no-no in NaNoWriMo because it can compromise your word count and keep you from finishing. But for Camp NaNoWriMo, I had more flexibility, and I really needed to go back and fix a big problem. I realized that I had too many main characters, one of whom was only the shell of a character. In my own mind, I considered him a throw-away – what would readers think? So I decided to cut him, but doing that meant going all the way back to the first page. I also happened to have several unwritten scenes floating around in my head that I wanted to add to earlier parts of the book. Going back through it from the beginning helped me do this, and my word count slowly went up again. By July 31st, I recorded my word count at 55,652, and I have no intention of stopping, even though July is now behind me. While I can’t say that Camp NaNoWriMo is the reason I’m working on an unexpected project in the middle of the summer, I am thankful that it lit a little bit of a fire under me, at least as far as making a writing goal is concerned. If you’re the type of person who has to be accountable to someone (or something) else in order to finish a writing project, I highly recommend it. You also have access to a community full of fellow campers who will give you support when you need it. Not to mention that, if you’re unsure of if you should try the full NaNoWriMo experience, it’s a great way to practice. I know that I’m ready. Any experience that encourages me to write my heart out is a welcome one. My last blog was all about the writing I’ve done this summer (and since then, I’ve achieved my Camp NaNoWriMo goal – yay! ), but as any worthwhile author will tell you, you can’t write if you’re not reading. So I’ve been doing what a good writer should do, naturally. The reading list that I set for myself this year is an ambitious one. (Read it here.) On it are 27 books, including several series. Christopher Paolini’s The Inheritance Cycle has been on my to-read list for three years now, and I finally finished it. But those books are dense and ate up a lot of my reading time. As I approached the halfway point through the year, I wondered how I was doing. I’m happy to report that as of mid-July, I’ve finished 13 of the 27 books. Maybe Inheritance didn’t set me back too far, after all. Of course, I read a lot during our two-week vacation. I worried I was being overly ambitious when I packed the entire Divergent series, as well as a book that a friend lent to me a few months ago. But I read the whole borrowed book on the plane trip from east coast to west coast (Talk to the Hand by Lynne Truss – I highly recommend it, particularly if you’re a fan of British humor), and I plowed through all but a couple hundred pages of the Divergent series over the two weeks. Ahead of me, I still have at least one doozy (Diana Gabaldon’s Written in My Heart’s Own Blood – all of the books in her Outlander series are formidable), plus Suzanne Collins’s The Hunger Games series. I know I re-read it last year, but I want it to be fresh when the final movie comes out this fall. Also, I’ll start reading Harry Potter and the Philosopher’s Stone to my seven-year-old in the next week. I’m excited that he’s finally old enough to comprehend the story – we may have another Potter geek in the making. Other than my non-fiction books (which I rarely list here, unless it’s what I consider entertaining non-fiction, such as Talk to the Hand), I’ve stuck to my book list pretty well. Early on, I decided to read Daniel Woodrell’s Winter’s Bone because I’d seen the movie and was interested in seeing what kind of extra character developments happened in the book. I’m glad I did. Woodrell’s use of language is unique, and as a writer, it’s always helpful to mix it up with a different style from time to time. The only other detour I’ve made was Lisa Genova’s Still Alice (also a book-turned-movie). This was a book I had to read. I’m going back to teach full-time in the fall, and the faculty at my school has a summer reading list. Still Alice was the only novel on our list of choices. I’ve jotted down the titles of several non-fiction books that interest me, but I wanted a good story – and I got it. But frequent criers, keep your tissues handy. I’m sticking to my list and loving it. I hope to finish Lois Lowry’s The Giver series by the time the kids go back to school (I’m halfway through the second book, Gathering Blue), and then I’ll keep plowing ahead.